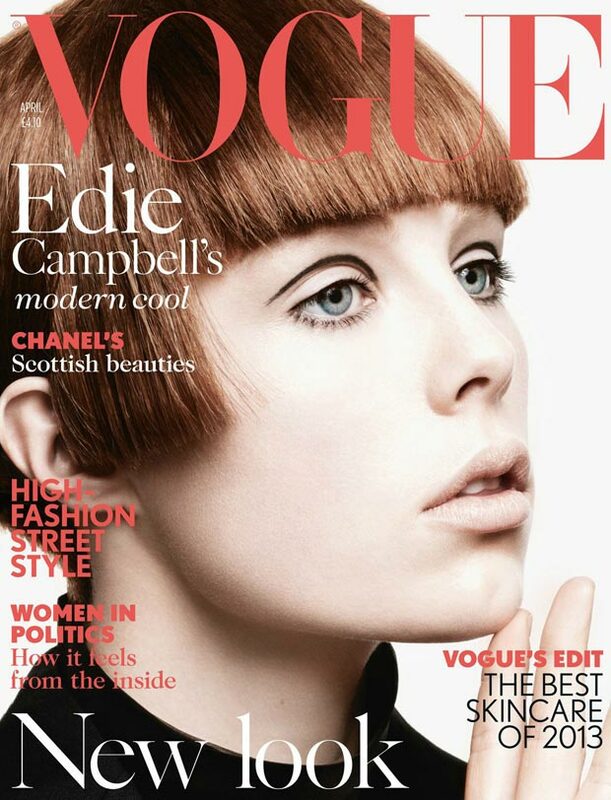 Vogue UK released its April 2013 cover for the fashion masses and, much to everyone’s surprise, on the cover is a close up portrait of bluntly hairstyled Edie Campbell. At just 22 years old, Edie is for the first time on the cover of Vogue magazine, an event which she described as ‘ridiculous’. 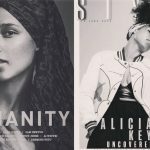 It’s not every day that you get to be on the cover of Vogue, so I can understand and appreciate the honesty of her reaction. But! She’s not the only one who finds this cover – although a step in the right direction – uninspired and unappealing. 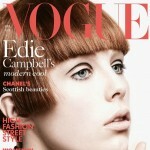 Edie Campbell was styled to look like 60s icon, Twiggy. Is there no other way to introduce a new face but by making it look like an icon of decades past? 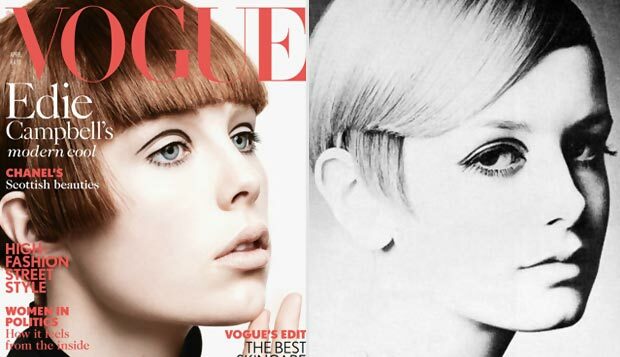 Photographed by David Sims and styled by Joe McKenna, Edie looks just like Twiggy, minus the dramatic lashes. 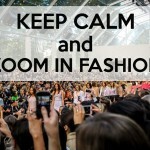 From what we’ve seen so far, the stylists trends imposed a retro – vintage trend for the Fall 2013 fashion season. Edie’s 60s throwback cover could be just another step in that direction, although a very unsuitable approach for the month of April, methinks. But then again, Cara Delevingne covered the March issue, it would’ve been unfair for her dear friend / it girl Edie to not make it on the next cover. If you haven’t already, it’s about time you befriend Cara – it may land you a Vogue cover next! She looks like Mary Quant not Twiggy. That’s Mary’s trademark hairdo. She still sport that style. She’s Mary Quant’s twin sister, also a face double for Twiggy lolz! oh! 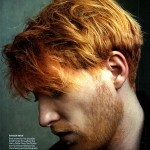 and the nose – the nose is all Twiggy! isn’t it? mkay. I give up. 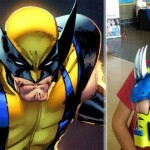 You’re soooo close to convincing me to modify the entry! Shall we vote, my beautiful ladies? Who’s for Twiggy and who’s for Mary Quant? Basically this is the ’60’s look. If you like to compare Edie with an icon of those days this cover comes far closer to the looks of Mary Quant than Twiggy. I would have never thought of Twiggy or Mary if you hadn’t mention Twiggy….